You are getting closer and closer to the day of welcoming your baby into the world. Although you may be thrilled about becoming a parent, you will likely experience concerns as well, which is perfectly normal. With good support of your partner, family members, and friends, you will get through this phase. 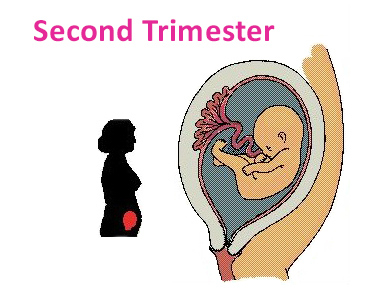 The last third trimester is when the fetus is using all its energy to prepare a grand entrance into the world. During the final phase of pregnancy, you can expect to gain from 10 to 15 pounds. If you find that you are gaining more or less, you might consider discussing any concerns with your doctor. At this time, the fetus accounts for 7 to 8 pounds of this weight gain. Increased Back Strain. As you gain weight and the fetus settles lower in the uterus during the final weeks, you may notice increased back strain and find it difficult to sleep. Many women have difficulty in finding a comfortable position, resulting in significant tossing and turning. A pregnancy pillow or body pillow can help alleviate some of the discomfort. It is usually most comfortable to sleep on your side with your knees bent during the last weeks. The body pillow placed between your knees and under your belly will take some of the pressure off your spine and make you more comfortable. Engorged Breasts. Women who are smaller breasted tend to find this part of pregnancy to be a wonderful fringe benefit. Choose supportive pregnancy and nursing bras, preferably made from 100% cotton, to fully support the added weight and keep you comfortable. Sometimes your breasts may leak a bit of fluid as they prepare for breast-feeding. If this is bothersome to you, simply use breast pads in your bra to absorb the moisture and prevent chafing. Shortness of Breath. 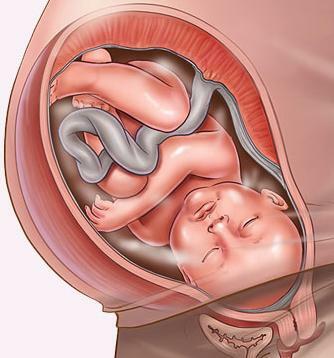 This is caused by the fetus’ pressure on your diaphragm and stomach. Quite a bit of room is being taken up at this point and the compression of some organs will make you feel out of breath and a bit light-headed at times. Elevated Blood Pressure. Do not confuse this with high blood pressure. The elevation in your blood pressure is considered a normal part of the third trimester. Unless it goes up a considerable amount, you should not be concerned. Your doctor will be monitoring you closely during this trimester and will keep an eye on this potential problem. Aggressive Kicking. 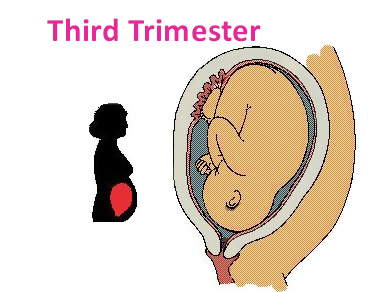 The growth of the fetus is part of the last trimester. Because the fetus has grown so much and there is little room left, it will sometimes seem as though it is punching you. Watch your belly as the fetus moves, which can be very entertaining. This is a wonderful experience and as see a tiny hand or foot press against your skin, you will be amazed at how clearly you can see the outline of fingers and toes! Swollen Hands and Feet. As you retain fluid, this will occur. Elevate your feet as often as you can, and remove rings that might be uncomfortable. If you like, wear your wedding ring on a chain around your neck. This is a much better solution than having to have the ring cut off if your hands swell too much. 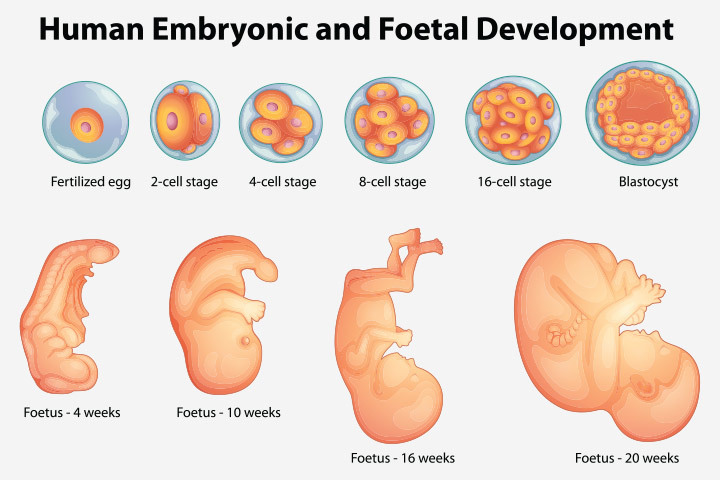 As the due date draws nearer, your doctor will ask you to come in for weekly check-ups to chart the growth and progress of the fetus. These visits are very important and should not be neglected. These routine checkups should not cause concern as they are intended to ensure that both you and the fetus are doing fine. Nesting Instinct is the term used for the last few weeks when you suddenly feel the urge to be constantly on the move, rearranging the baby’s room, going over the list of essentials, cleaning as you have never cleaned before, and double-checking everything. This is a natural mothering instinct to give you the energy and stamina for childbirth. While you may feel as though you can do anything, be sure not to overdo things since you will need strength for the actual birthing process. Being very pregnant and uncomfortable, you may find yourself becoming impatient and snappy. After all, you are not as mobile as you would like to be, you are tired of waiting, and it seems like you have been pregnant for two years, like an elephant! Find ways to pamper yourself and enjoy these last few weeks. Ask your husband for back rubs to ease your discomfort, treat yourself to a pedicure, read a good book, rent some old-time movies, and find ways to enjoy the time before your give birth. Once your baby arrives, time will pass so quickly that you will find it hard to keep up! With birth pending, you suddenly feel crazed to complete old projects, and get the house in ship-shape for Junior. Speaking of which, the little one, now at 29 weeks, weighs two pounds and nine ounces and is 13 and three-fourths inches long. His or her lungs have been busy creating surfactant, a substance needed for breathing. If born today, your baby’s lungs would probably do just fine on their own; however, the last few weeks are important for the finishing touches of lung development. By 32 weeks, your baby measures 15 and one-fourth inches long and weighs three pounds twelve ounces. Brain development is rapid. The eyes can now track movement and the iris’ respond to light and dark. The baby may move and sleep in more definable patterns, thanks to visual clues from outside light that filters in through the uterus. Relaxin, a pregnancy hormone, is responsible for the softening of hip joints. As a result, you may catch yourself waddling. Also, the large uterus throws your posture off, causing you to have a slight swayback appearance. This can cause backaches throughout the third trimester if posture goes unchecked. By 35 weeks, you baby weighs about five pounds and measures 16 and on-half inches long, although height and weight variations are more common now. From this point on, your baby will gain about a half-pound per week. The survival rate, if your child were born today, soars to 99 percent. Suddenly, you have a lot of decisions to make. If you decided on a home birth, is it still advisable? Will you breastfeed or bottle feed? Would you like to avoid an episiotomy? Under what conditions would you consider induction? Does a natural, non-medicated birth appeal to you? By the time you complete the necessary reading you may be overwhelmed. No wonder you can’t seem to figure out what to pack in your hospital or birth center bag! There are many factors that can alter your visions of the perfect birth. That’s why it is a good idea to look into birth plans. Discussing labor issues with your doctor or certified nurse-midwife can help you end up with a more ideal birth. However, always remember that the ultimate safety of mother and child must outweigh any decisions made previous to labor. Toward the end of the pregnancy, you may be concerned with a decrease in fetal activity. While this is usually normal, due to less room in the uterus, it’s a good idea to notify your practitioner at once if you notice a sudden decrease in movement. Your practitioner may order a non-stress test, which can evaluate your baby’s well-being through an external fetal monitor. You may find that your weight gain slows at the end. Often times, weight gain may even decrease right before labor. Despite this, your baby still gains rapidly. By 37 weeks, your baby weighs six pounds and measure 17 and one-half inches, head to toe. Up until now, your baby has been covered with fine hair, called lanugo, and a creamy substance that protects its skin, called vernix. Both begin to disappear. The baby actually swallows some of this, and it is stored in the bowels. This meconium will be released during the days following the birth. As you get down to the wire, fears about labor and delivery are common. Will you be in pain? Will the labor go on for days? Or will you be one of the luckier ones? Actually, the ideal length of labor, for both mom and baby, is between 11 and 15 hours. The average length of first time labor falls into this ideal by lasting approximately 12 to 14 hours. Most of longest part of labor, getting to three centimeters dilation, occurs during the first nine hours when contractions aren’t closely spaced together or very intense. By your due date, levels of amniotic fluid begin to decrease. Your baby weighs about seven and a half pounds, although some babies can weigh as much as three pounds more or three pounds less. Most likely, your baby measures 20 or 21 inches from head to toe. At last you are prepared for the birth. You mark off the calendar as your due date approaches… and passes you by! For the vast majority of women, labor occurs naturally before the 42nd week. More common in first pregnancies, postdate babies need to be monitored closely. If the womb environment becomes inadequate, the mother may be induced or a cesarean may be recommended. The final trimester is an exciting time. Despite the aches and pains of a normal third trimester, you can finally see the light at the end of the tunnel. It’s a glorious moment when, after nine long months, you newborn is handed over to you. Sleepily, the baby opens his or her eyes to be welcomed by a very tired, but exhilarated, new mommy.